I found these X-wide Mavic Allroad Elite wheels being clearanced at Excelsports and at Planetcyclery for $300 shipped, with 30mm tubeless tires included. 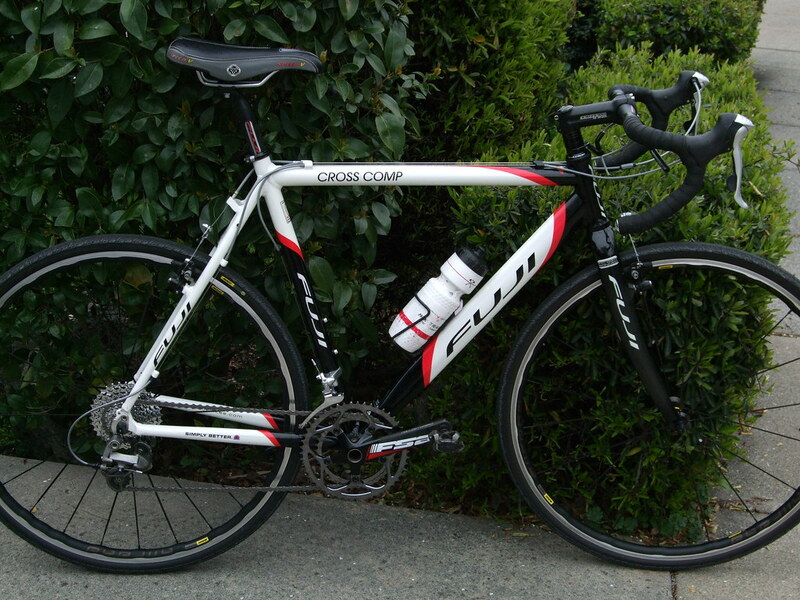 And note, 130mm (road) spacing, so my new/old Fuji CX bike just got a new set of wheels. Looks like the standardized UST system will be my first foray into the world of tubeless, which works best in all ways with wider tires. Mavic's cross-section graphic of this rim and tire apears to show a hookless bead at the rim sidewall, so added durability there for rim wear and for when running lower pressures. Sealant included with this wheels/tires pkg, and wheel weight is a low 1595 grams (advertised). 1595 grams advertised means they weigh 4000 grams. Just kidding but they will weigh more than advertised. With 30mm tires, what bike are you planning to put them on. Didn't notice, do they come with sealant in them already? I have Secteur 28mm tubeless on some wheels that will be replaced with 25s when the time comes. 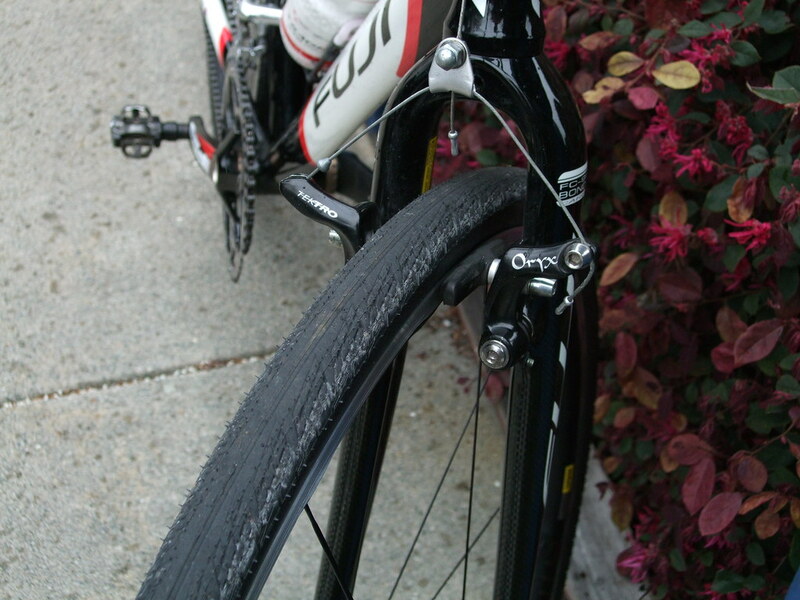 But my Road Fusion 5 28mm with latex is a fav. That is what is on the Super/Spectrum. Just feels less sluggish than the 28 Secteurs. Yeah, just comparing with other published weights. Fulcrum will be further off on weight than Mavic or Shimano from what I have actually weighed. In other news, the 28h wheelset I just built using db spokes, 7700 hubs and Pacenti Brevit rims weighed in at 1560g. Nowhere near as durable as the Mavic wheelset, and only i18.5mm wide, but with an incredibly credible-looking profile quite reminiscent of an old tubular rim. 7700 hubs are some of my favorites. Re-lube every 10k and spin like heaven into perpetuity. ;). 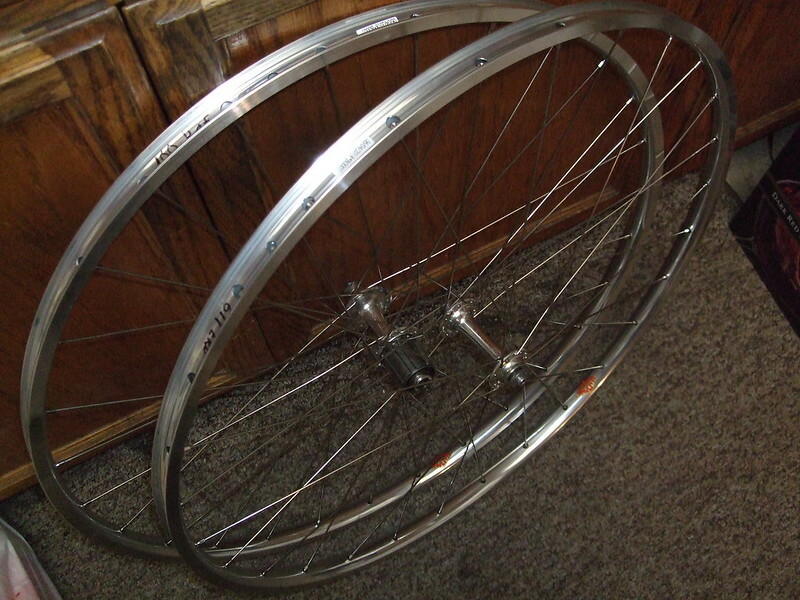 Have a wheelset 28/32h with Hed C2 rims I built a while back. Updating my post here since the tubeless tires/wheelset arrived a few weeks ago. I'm liking the tubeless tires but had to fiddle with the brakes to squeeze in the wide rims with these canti's. Did a 60mi Fondo ride on Sunday and found the tires to feel free-rolling at 55psi despite my current level of non-conditioning. Are the tires a generous 700x30, kinda looks that way. Actually measuring a full 33mm. Cool, I just ebayed a XTR 10s hub set. Being my Lynsk is QR front and TA rear... I can build a 700c wheel for the rear and use my XTR QR front off the Strong. Just happen to have all the right length/amounts of spoke in my dwindling stash too. Curious how the Mongrel will feel with 35x700 Overrides VS the 47x650b. Especially my first impressions of the bike made with the 650b.